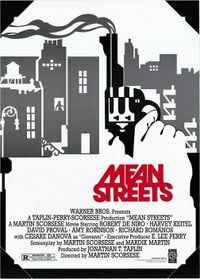 Martin Scorsese’s foray into urban crime territory, Mean Streets was an immensely personal project for the famed director with crime, religion and identity clashing to make a one of a kind gangster movie. Harvey Keitel delivers a memorable leading turn as conflicted mobster Charlie, yet it was Robert De Niro who turned heads with his performance as the unpredictably dangerous Johnny Boy. The reunion of Scarface pair Al Pacino and Brian De Palma resulted in a better film, with Carlito’s Way a heartbreaking, stylish portrayal of an ex-gangster (Pacino) trying to walk away from a life of crime only to get pulled back into an increasingly violent world at every turn. 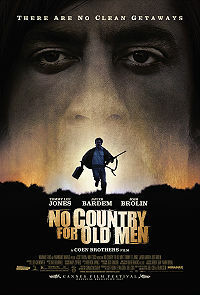 Features one of Pacino’s best turns not to mention a stellar performance from an unrecognisable Sean Penn. 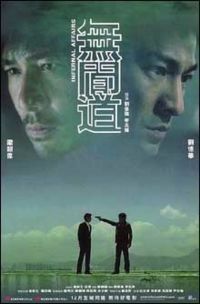 The basis upon which The Departed was made, Infernal Affairs taught a lagging Hollywood a lesson in how to make a hard as nails yet entertaining gangster movie, incorporating a slick visual style to accompany its gripping story of two undercover operatives working in opposing sides of the law. 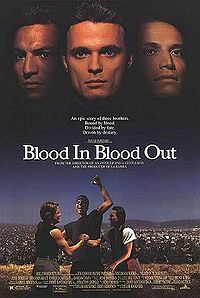 Ambitious in size and passionate in delivery, Taylor Hackford’s epic tale of three related Chicano gangsters separated by tragic circumstance, skilfully juggles several sub-genres – prison movie; police investigator; urban drama – while providing memorable Latino gangster dialogue. 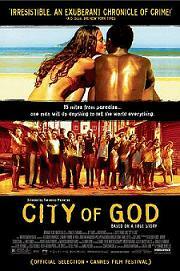 Fernando Meirelles’ City of God is a stunning exploration of the brutal, poverty stricken crime underbelly in Brazil, where teenage hoods run drug enterprises and murder those who get in their way. 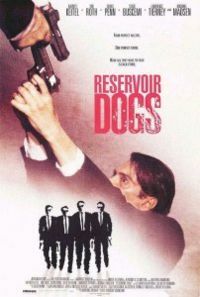 A blood soaked modern crime classic, Quentin Tarantino’s ground breaking Reservoir Dogs features a cracking script delivered by an exceptional cast, resurrecting the forever underrated Harvey Keitel, and introducing the world to the likes of Tim Roth, Steve Buscemi, and Michael Madsen. 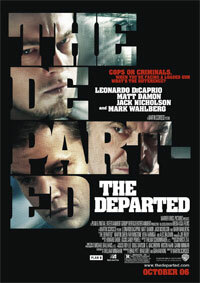 A remake of Infernal Affairs, Martin Scorsese’s The Departed comes off the better film due the directors deft hand at the gangster genre, the career defining performances from every member of its stellar cast, and a fine screenplay by William Monahan, who astutely adapted the original films Hong Kong setting to the mean streets of Boston, while building upon its themes of betrayal and redemption. Quentin Tarantino followed Reservoir Dogs with the genre bending Pulp Fiction, an ultra violent, darkly comical crime ensemble, which revived the career of John Travolta, gave Samuel L. Jackson his best role to date, and had its audience quoting its dialogue without end. 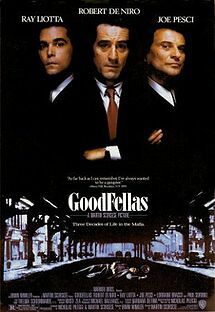 Martin Scorsese’s gangster masterpiece, Goodfellas features the lauded filmmaker at the peak of his craft, presenting the story of work-a-day gangster Henry Hill (Ray Liotta) with a visual prowess rarely seen, while guiding Liotta, a terrifyingly good Joe Pesci, and regular cohort Robert De Niro to top notch performances. The first two Godfather movies still stand as the ultimate portrayal of the mafia told with a Shakespearean twist and featuring one iconic moment after another. 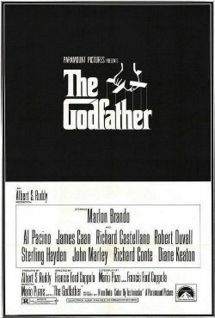 In adapting Mario Puzo’ best-selling crime novel The Godfather, director Francis Ford Coppola faced an uphill battle paved with never ending obstacles, creating what many consider the greatest film of all time, resurrecting the career of box office poison Marlon Brando and establishing the careers of Al Pacino, Robert Duvall, and Diane Keaton. The Godfather Part II saw the enormous task of creating a sequel yet it was a challenge that Coppola met head on with triumphant results, using a parallel story structure to chronicle the rise of Vito Corleone (Robert De Niro) and the descent into darkness of Michael Corleone, played by a career best Al Pacino. 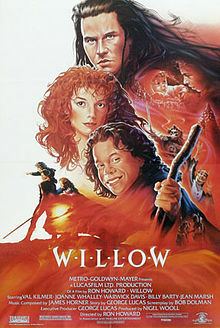 When watched separately both movies are brilliant. 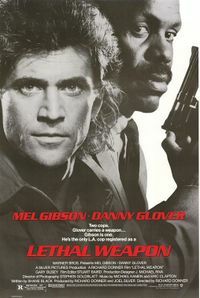 But when watched back to back (you’ll need to take the day off) the results are extraordinary.